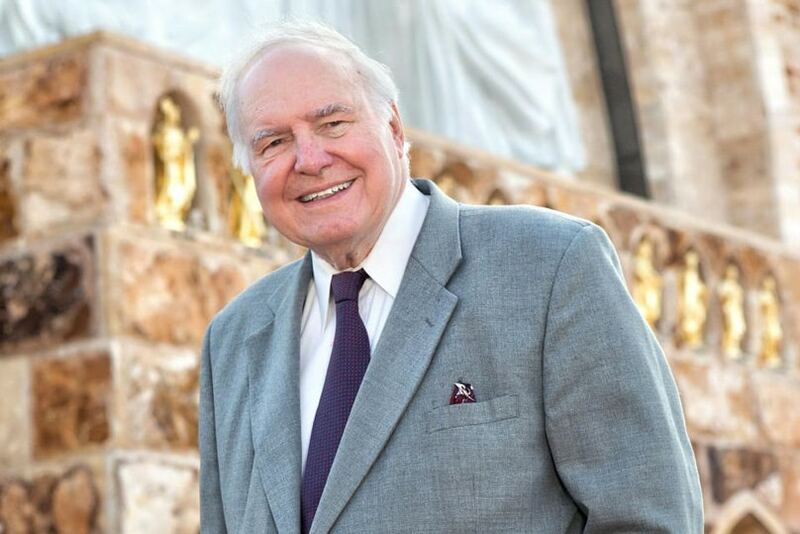 In many ways Michael Novak exemplified the great tensions and transitions that have occurred in Catholic life since the 1960s. Born in 1933 into a family of Slovakian background, he imbibed the rich experiences of religious faith that have marked ethnic Catholicism in American history. His high school years at a preparatory seminary were followed by a period of training with the Holy Cross Fathers, culminating in his study of theology in Rome in the 1950s. These formative years shaped a love of his Catholic upbringing, both religious and cultural, which found expression in such books as All the Catholic People (1971) and The Rise of the Unmeltable Ethnics (1972). Yet this early period was one of widespread upheaval which challenged his traditional formation. In 1960, Novak left the seminary and embarked on further study and teaching at America’s Ivy League universities, Harvard and Stanford, pulsating as they were at that time with the stirrings of political and social revolution. These episodes were heightened by his experience of religious ferment, when he spent several months in Rome in 1963, at the time of the Second Vatican Council. Out of this maelstrom came his first book of non-fiction, The Open Church (1964), which revealed the transition of his thought from a traditional faith to a liberal viewpoint; though he had provided a somewhat earlier intimation of this change in the first book he published, a novel entitled The Tiber Was Silver (1962), which depicted the struggles of a young seminarian in Rome immediately before Vatican II. Taken together, these first books showed the ways in which Novak’s intellect and imagination worked in unison. He had the mind of a philosopher and the soul of a poet. By the 1970s, Novak’s outlook was undergoing a pronounced shift, at first intellectual and political, and subsequently cultural and religious. He became disenchanted with the philosophies inspired by the 18th century Enlightenment that were then so dominant in secular universities like Harvard. Such thinking lacked the kind of metaphysical realism that Novak found in Aristotle and Aquinas. He believed that a reliance on reason unenlightened by religious faith gave rise to utopian fantasies that had little connection with the experience of ordinary Americans. They led to a weakening of social bonds and an undermining of the family. In Novak’s mind, the dominant social philosophies failed to resonate in particular with working-class Catholics from the kind of ethnic background that he cherished. Such people felt increasingly ignored and patronised by the intellectual and political elite of a secularist establishment. The astuteness of Novak’s early analysis may be seen in the results of the recent Presidential election in America, which has thrown a spotlight on the depth of disillusionment of these communities with establishment politics. At a deeper level, Novak was fighting against what he called “the death of humanism under the onslaught of the Enlightenment”. This was to be a permanent theme of his work. It inspired many of his later writings, particularly during his long tenure at the American Enterprise Institute, a think tank in Washington DC, where he served from 1978 to 2009 as a Resident Scholar and later as the holder of an endowed Chair in Religion, Philosophy and Public Policy. Novak’s special intellectual gift – and finally spiritual insight – was to recognise the enduring value of his cultural and religious roots. He never lost sight of a truth enunciated by G K Chesterton – for whose ideas he had a deep affection – that you must first love what you criticise; that, while you may indeed hate the world enough to change it, you must first love it enough to think it worth changing. This stood in contrast with the attitude of many in the 1960s who were agitating for change, in the Church as well as the wider society. Their pursuit of reform was often propelled by a deep animosity towards their Catholic heritage, and they were tempted to embrace uncritically a world that called for liberation but was unclear about the consequences of this new, undirected freedom. Novak’s recovery of his Catholic roots renewed his respect for the wisdom of tradition – not in the sense of nostalgia for a lost past, but as the foundation of a fresh hope. He moved beyond his intoxication with rootless change to a new awareness of the nourishing power of institutions and traditions, particularly those of the family, which supplied the solidity and energy for succeeding generations. It was to affirm the value of family life in solving social problems that he visited Australia in 1995, and spoke in Sydney at a Forum on Family Policy. Novak knew that championing a market economy was at odds with both prevailing political liberalism and traditional Catholic social teaching, and that the presentation of a moral case for capitalism would be disdained; but he argued, in his best-known book, The Spirit of Democratic Capitalism (1982), that a theology of economics was now overdue, which would recognise the social benefits of free enterprise – in curing poverty and challenging tyranny – while combating the tendencies to hedonism and a wasteful consumerism that capitalism can foster. Novak saw a partial acceptance of his arguments in the 1991 encyclical, Centesimus Annus, where John Paul II, a fellow Slav and personal friend, acknowledged the benefits of a free economy in encouraging enterprise and creativity, though the Pope avoided endorsing any particular economic system. Apart from his political and economic writings, Novak never lost interest in the fundamental issues of belief and unbelief, as shown by books like Tell Me Why: A Father Answers His Daughter’s Questions about God (1998) and No One Sees God: The Dark Night of Atheists and Believers (2008). Nor was he a person whose intellectual interests were confined to the academy or the political arena. He had a passionate love of sport, especially baseball, and The Joy of Sports (1976) revealed his understanding of dimensions of sport that are often overlooked, such as the transcendental yearnings and liturgical impulses to which it appeals. Novak was widely honoured during his lifetime. He received more than 25 honorary degrees from various colleges and universities. In 1994, he was awarded the prestigious Templeton Prize for Progress in Religion, and during the Reagan years he served as a diplomat at the United Nations. Our prayerful hope can surely be that he has, indeed, reached his heavenly port. Next articleClutching the Church from the bureaucratic machine: the last hurrah for the Russian Catholic Church?